Is Health Insurance Sufficient Medical Cover? Health insurance pays out to you. You have to be disciplined to pay the doctors while medical aid pays the medical service provider for you. If you don’t want to rely on public health facilities, then health insurance is enough and is a viable option. Yes, South Africa is introducing a National Health Insurance plan, supposedly to make quality healthcare accessible for all citizens regardless of their earnings, but this will only be operational some time in the distant future. Fortunately in South Africa there are a host of excellent financial products on the market which will help you enjoy affordable healthcare. But before you jump ship and throw caution to the winds as regards your medical aid, think carefully about whether having health insurance is enough. Health insurance can’t equal the benefits you get from a full medical aid. 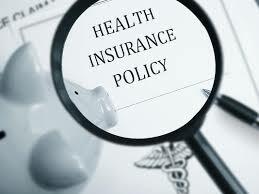 If you do go the health insurance route, make sure that you choose the most comprehensive health insurance. But is health insurance enough? Health insurance differs one from the other, and some of the more recent products have a hospital benefit where a sum of money goes to the hospital on admission. This lump sum may well ensure that you are accepted at a private hospital, but a medical insurance won’t be paying for all the costs you incur in hospital. For instance surgery and other procedures wont necessarily be paid for by medical insurance if the costs are more than the amount paid at the time of admission. Medical aids have a hospital benefit that extends beyond just providing hospital cover. These hospital plans will pay for your private hospital stay as well as medications and surgery. Health- or medical insurance on the other hand only pays a sum of money at the time of admission. As the patient you are responsible for costs over this this amount. This can leave you vulnerable to massive medical bills. It’s essentially why health insurance is a useful enhancement to medical aid. It is essential to sum up the good and the bad of medical insurance before you opt for this cover over medical aid. It’s not to say that medical aid is better than health insurance – both have their advantages and the one you choose will be according to your financial- and health needs. Health insurance or medical aid? We all know the answer to this – if you can afford it, go for comprehensive medical aid. If you can’t afford it, don’t go without any kind of medical care. Is health insurance enough medical cover? Health insurance is a wonderful alternative to medical aid. It is coming to the rescue of many who want to look out for their health according to their means.